In the final moments of the documentary The War of the Volcanoes, the narrator states that the film is not the story of Anna, Ingrid, and Roberto, but the story of a volcano who has stayed the same over the years. If this was really the case, then the film would be far less interesting. While the volcano is the element that ties all the threads together, make no mistake the films is about those three individuals and the scandal that they evoked. It is about one woman coming to terms with who she is and another woman trying to hold onto something that she can no longer have. Incorporating only archival footage and clips from numerous films, some directed by Roberto Rossellini and others featuring Anna Magnani or Ingrid Bergman, director Francesco Patierno creates a film that charts the events that led to an infamous scandal that rocked Hollywood. The War of the Volcanoes begins by explaining the significance of the Panaria Film company’s achievement in developing a photography device to capture underwater spear fishing by the locals of the Aeolian Islands. One the founders of Panaria Film happened to be a cousin of director Roberto Rossellini. After being shown footage of the island, Rossellini’s cousin suggests that he makes a film that is set on the island. Inspired by this idea, Rossellini beings to plot out what would eventually become the film Stromboli. At the time he was designing the concept for Stromboli, Rossellini was involved with the famous Italian actress Anna Magnani who had starred in several of his films. Talented on screen, Magnani was viewed to be extremely possessive of Rossellini off screen. She was the type of actress who would burn down your house if she thought you might cross her. After staring in a few of Rossellini’s films, Magnani was expecting to be the lead in Stromboli once Rossellini was ready to begin shooting. Unbeknownst to Magnani, Rossellini had received a letter from Swedish actress Ingrid Bergman. In the letter Bergman expressed her interest to one day to work with director. At 32 Bergman was the hottest and most sought after actress in Hollywood. However, she was looking for more meaningful films to work on such as Rossellini’s Rome, Open City which she a fan of. After meeting Bergman in America, Rossellini is convinced that she is the only actress who can play the lead in Stromboli. 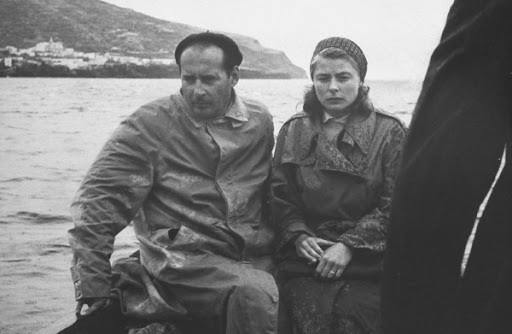 As Rossellini and Bergman begin to work on Stromboli, they seemingly become inseparable. They quickly become the point of discussion for the tabloids, especially since Bergman was married at the time. Besides dealing with the constant gossip, Rossellini gets word that another film set on the Aeolian Islands has moved into production. The film is entitled Vulcano and the originator of the project is none other than the Rossellini’s cousin who came up with the idea for Stromboli in the first place. Upset that he was left out of the initial project, Rossellini’s cousin is determined to see his project do better than Stromboli. 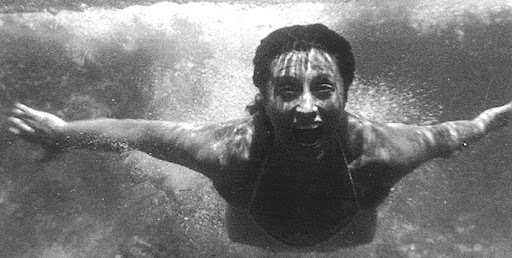 To top it all off, word spreads quickly that the star of Vulcano was none other than Anna Magnani. 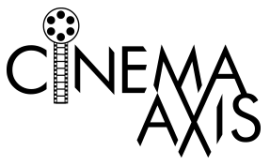 Originally intended to be a fictional film, Francesco Patierno opted to make the film a documentary once the economic crisis hit. For his part Patierno is rather inventive in how he manipulates his film clips to create the maximum dramatic effect. He has a knack for picking just the right film scenes to give the allusion of how arguments between Rossellini and Magnani, or Bergman and her husband, might have sounded. The downside of piecing the film together solely on archived footage and film clips is that it does become distracting at times. Aside from the audience playing the guessing game in regards to which films the scenes where taken from, some of the clips do come off a tad gimmicky. Fortunately for Patierno, it is the scandal and, most notably the competing films that resulted from it that keeps the audience interested. Patierno manages to dig up some insightful tidbits, such as when the Vulcano production sent a spy over to the Stromboli set to steal Rossellini scripts…not knowing that Rossellini did not use a script when making the film. It is these moments that highlight the fact that it is indeed the scandal and not the volcano or the technical aspects of the documentary itself, that is the real story. Although not a memorable film, The War of the Volcanoes offers enough insight to maintain your interest for a few hours.